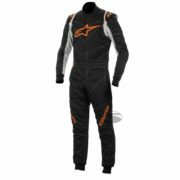 The Alpinestars GP Tech race and rally suit uses cutting-edge technology originating from their F1, WEC and NASCAR race programs. 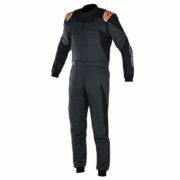 The Alpinestars GP Tech fireproof overall is FIA approved and sets the standard amongst racing suits. 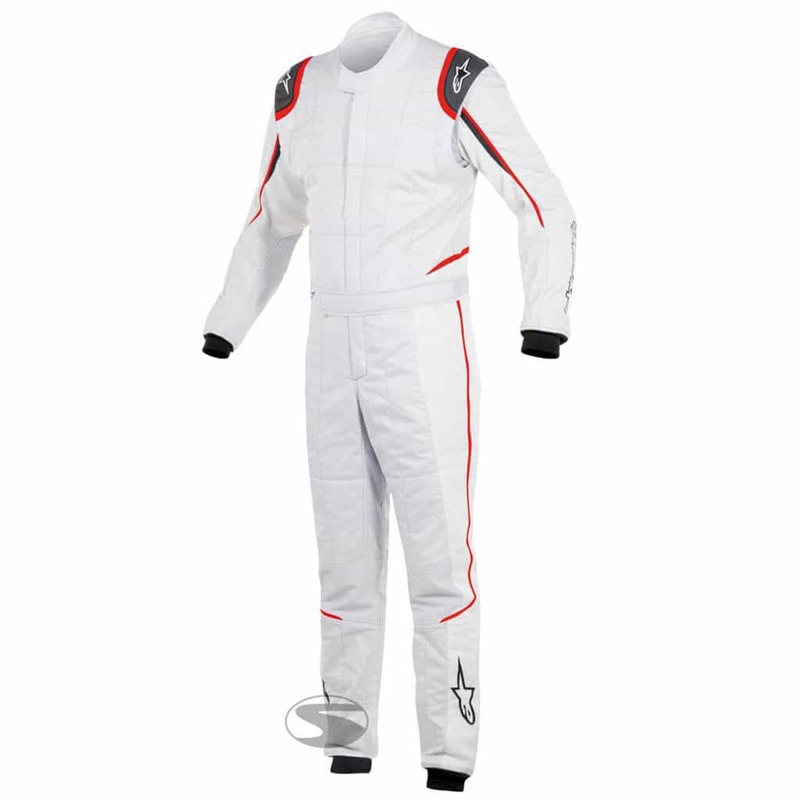 The overall is ultra-lightweight with a 3-layer Nomex construction that is comfortable and allows the driver a full range of movement. The driver can remain cool, even in a hot cockpit thanks to The GP Tech’s strategically placed and highly breathable materials inserts. The suit features a fully floating arm construction, including a stretchable material ensuring the driver can steer and change gear without any interference. The elbows and lower arms also include stretch panels, additionally improving range of movement. The Alpinestars GP Tech features an ergonomic design, allowing for a well-fitting overall. The lower back utilises Alpinestar’s patented central back panel, which again improve driver flexibility and comfort. The suit’s arms and legs have been fit to the perfect driving position, while the dual layer armpit design continues to add mobility. The internal seams of the overall are flat to ensure the driver feels no rubbing or pressure points when in the cockpit. The GP Tech’s collar is manufactured from a soft-knit material and the waist band uses Velcro to ensure the perfect fit. The shoulder area where your HANS device fits has addition material to cushion and improve comfort when wearing your device. The racing suit is homologated to FIA 8856-2000 standards, meaning it can be used in Motorsport around the world. 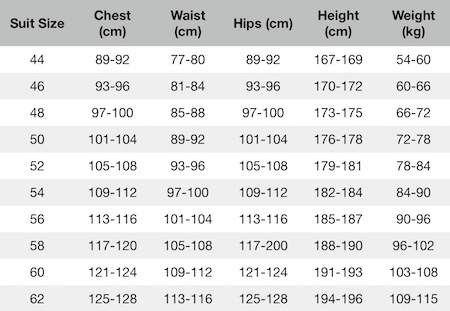 A sizing chart to find the perfect Alpinestars suit can be found here.